This is the review by Mr. Abhinav Agarwal, of the book ‘Sati: Evangelicals, Baptist Missionaries, and the Changing Colonial Discourse‘ by Meenakshi Jain. What was the evidence and prevalence of Sati in ancient and medieval Bharat? Did it have religious sanction? Was it mandatory? Was there coercion? Was it confined to certain regions and castes or widespread? Did it change over time? Did it increase or reduce over time? Did the English or the East India Company ban it? Did they want to ban it? What were their motivations in banning it? Were they driven by the need to put a stop to a widespread evil? How did Bharatiyas react to the ban? When talking of Sati, these are some of the questions that should spring to mind. These are the questions that the book asks, and answers. English morals, if they could be called that, were the subject of much debate and lament in England in the eighteenth century. In the decades following the Battle of Plassey in 1757, that threw open trade in Bengal to the English, fortunes were made on a scale perhaps never seen before, or after. “In the twelve years between 1757 and 1769, it was virtually guaranteed that a Company servant in Bengal would return home with a fortune.” With such easy money came easy morals. But, before we get into that, an important question to be asked, and answered, would, and should be – how prevalent was the practice of Sati in Bharat. How had it changed from ancient times to the eighteenth century? Was there an increase or decrease in its practice? How did its religious and social outlook change over time? Manu considered them “worthy to be worshipped and the lamp that lights up the household.” What about their married life and thereafter? The Laws of Manu (Manusmriti) stated that “they were to receive the protection of the father in childhood, the husband after marriage, and the son on the death of the husband.” No word or advice on sati. Yajnavalkya “viewed wives as gifts of the gods who should be respected and valued.” Nothing about self-immolation. None of Dashratha’s wives commited sati after his death. The Mahabharata has only scattered references to sati – one being Madri, the other being of Vasudeva and Krishna’s wives committing sati after the death of their husbands. But there are countless examples of wives of fallen warriors offering them funeral oblations. After all, a billion soldiers perished in the war (according to one shloka in the Mahabharata). But no sati for their wives. It is only towards the seventh century AD that “some writers had begun to commend immolation for widows.” While there are scattered references to the nobility of sati, by Angira for example, many other writers expressed their reservation about sati. So if an eighteenth century guide on the religious duties of women commended sati, it also took care to stress its voluntary nature. There are some inscriptions that record incidences of sati. For example, despite “strong opposition of her parents,” Dekabbe, a Sudra woman, immolated herself after her “husband had been killed in battle against a Ganga king.” This is from the times of Rajendra Chola. Which brings us to the third, and most pertinent set of questions – what caused the English to ban it? Who were the main actors in the campaign to ban Sati? What were the motivations? The leader and the “father” of the missionary enterprise in the Bharatiya empire was Charles Grant, who converted to Evangelical Christianity in 1776. It was he, who, in collaboration with Rev. David Brown, William Chambers, and George Udny, drafted the plan for a “Mission to Bengal” that “envisioned the division of the province [of Bengal] into eight missionary circles, each with a clergyman of the Church of England.” This was in 1786-87. But churches were only the second step. 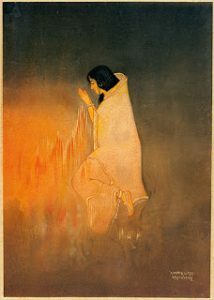 The first was the “idea of native schools as prepatory to the main business of giving Christian light to this land sitting in heathen darkness.” This description would not be out of place today, in the twenty-first century. Nothing has changed for the soul harvesting vultures in over two centuries. The discussions around the renewal of the East India Company’s charter in 1793 provided opportunity for the Evangelicals to insert their missionary clauses into the bill, but these were removed upon protestations by the Directors of the Company who were alarmed by these insertions. The lessons learned by the Evangelicals were to be applied twenty years later, in 1813, to much greater success. As the East India Company’s charter came up for renewal in 1813, the fury with which Hindu atrocities and their “evil practices” were manufactured reached a frenzied pace. Even the Rath Yatra at the Temple of Jagannath was not spared. William Carey estimated that every year 120,000 pilgrims perished at the Rath Yatra. Yes, more than one lakh people every year! Pamphlets were published and distributed, “well-orchestrated” campaigns were launched inside and outside Parliament. “A staggering 908 petitions bearing more than half a million signatures were presented to Parliament.” So as to not alarm the Bharatiya, it was suggested to combine “religion with education, preferably via Fort William College.” Wilberforce estimated that every year there were an estimated 10,000 “annual sacrifices of women” (sati) in the Bengal province alone. The second stage was from 1813 to 1829, when “awesome figures” were conjured to show that sati was a raging practice. 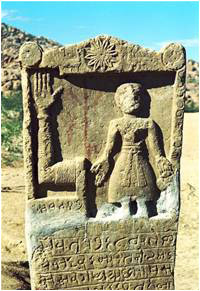 Sati, in many ways, became the single focal point to validate British rule in Bharat. The learned William Ward calculated, with a breakup, the total number of people sacrificed annually to the Hindu gods as 10,500. “However, on the very next page, he doubled the number of satis from five to ten thousand” Not to be outdone, Rev. David Brown cited William Chambers in estimating the number of sati incidents to be “about 50,000.” Charles Grant hypothesized a number of 33,000. The British government started maintaining a registry of sati cases between 1815 and 1828 in the three Presidencies of Bengal, Madras, and Bombay. Sati was abolished in December 1829. Thus we have possibly the first instance of the manufacture of “atrocity literature.” The fabrication of evidence, the wanton exaggeration of data, the shameless duplicity of foreign players, rabid evangelical motivations, and the cold-blooded manipulation of public policy – all ingredients witnessed in the eighteenth century and in the first decades of nineteenth century, and again over two hundred years later. All except the dullest of citizens and the most compromised of intellectuals would not fail to see the parallels with the manufacture of “intolerance” and other controversies today. Lessons taught by history are forgotten by those whose foremost duty it is to remember them, the lessons being inflicted a second time on a hapless nation. JNU मुक़दमे के दौरान क्या छात्रों और पत्रकारों ने वकीलों से बदसलूकी की और हिंसा भड़काई ?